but will set your store apart from the competition. 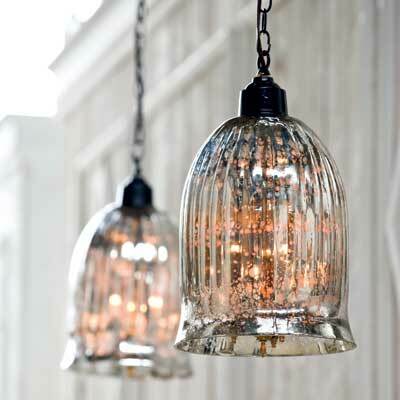 Regina Andrew Pendants Ribbed glass in a classic shape distinguishes these pendants. Hang them individually or in a group. Sea Salt Totumo Fruit Bowl This company works with artisans around the world, marketing their handcrafted products. 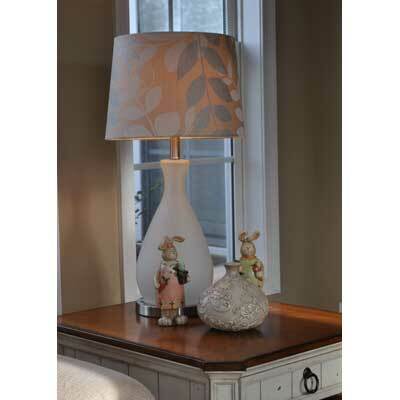 The products are made using eco-friendly processes and materials. 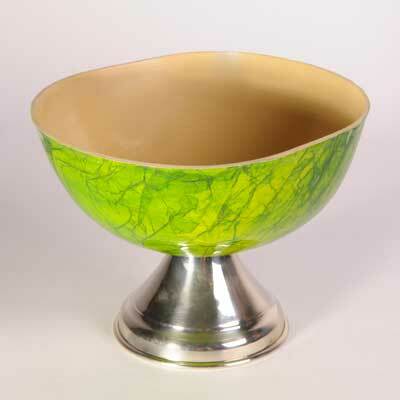 Shown here is the dried totumo fruit bowl with a shiny green finish and a silver base. 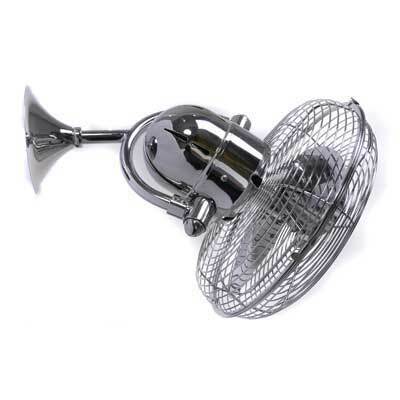 Matthews Fan Kaye Fan: Kaye can be mounted in small or awkward spaces or in front of HVAC ducts to bolster the heating, ventilation, or air conditioning of a room. Kaye has three speeds and can be ordered in the following finishes: Brushed Nickel, Polished Chrome, and Textured Bronze. Atomic Playrooms ATLAS Robot Shelf: Inspired by the space-aged style of the 1950s and ’60s science fiction movies and books. 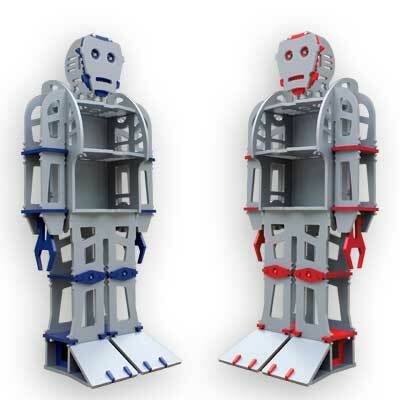 It stands more than six feet high, has nine front- and side-facing shelves, and can be ordered in Astro Blue or Blaster Red. 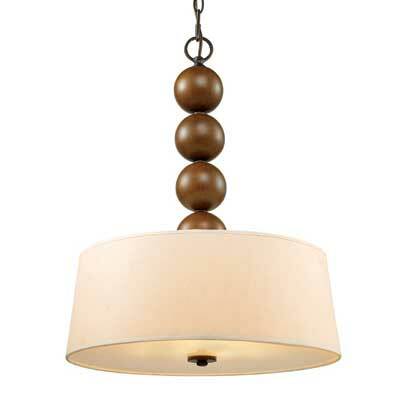 Golden Lighting Pallo Pendant: This pendant in the Pallo Collection offers casual modern styling with an emphasis on organic elements. The solid wood balls are lightly weathered, revealing a rich grain that complements the warm Sovereign Bronze finish and natural linen shade. 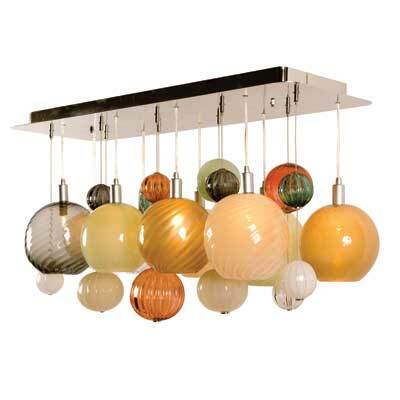 Astele Siret Pendants: The Siret pendants offer brilliance courtesy of the colorful glass beads. 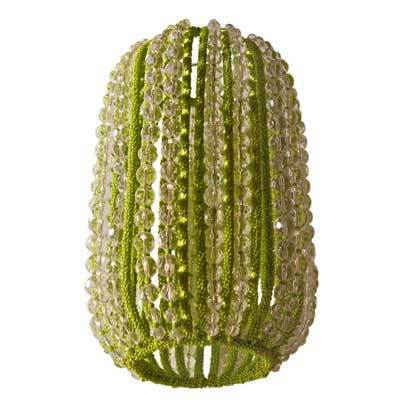 Each fixture is lamped with one 40-watt bulb and measures 6.7” high x 5.5” diameter. A variety of colors can be ordered: Green, Orange, Grey, Black, Blue, White Brilliant, White Mat. Tracy Glover Silver Lining Chandelier: The Silver Lining chandelier is shown with illuminated diffusers in Globe shapes, Twist and Primavera patterns, and non-illuminated Globe and Oval orbs in a solid pattern. The rectangular canopy has a Polished Nickel finish. Rely-A-Light is a dual-purpose table lamp that functions like any other attractive lamp…until AC power is lost, at which point the body of the lamp is immediately illuminated with super bright LEDs and remains lit for 12+ hours. This gives the homeowner ample time to prepare in the event of a prolonged outage such as an ice storm, hurricane, or tornado. 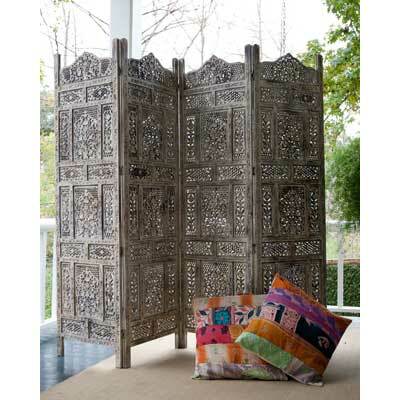 Abigails Martinique Screen: The new Martinique screen is hand-made in India and features intricate cut-out detailing and four fold-out panels. Standing 71 inches high, it is the perfect height to divide space or define a vignette in your showroom.